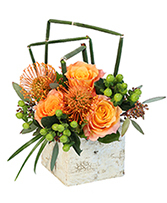 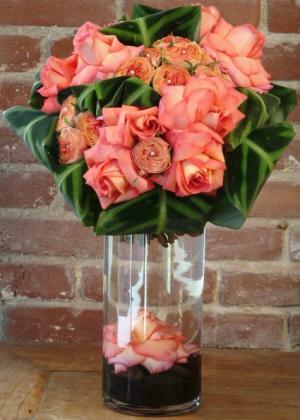 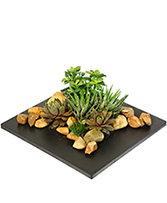 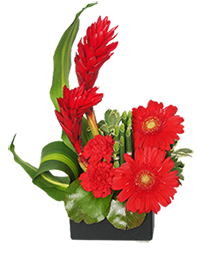 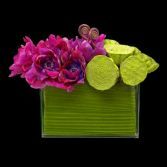 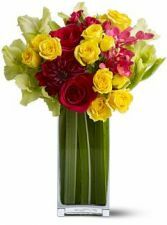 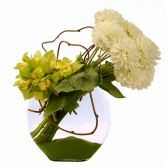 As the name suggests, this arrangement commands attention with coral roses, ranunculus, and folded caleatha leaves. 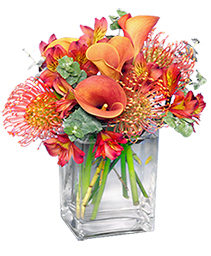 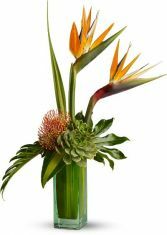 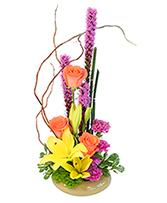 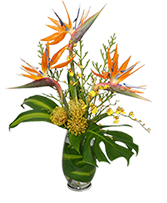 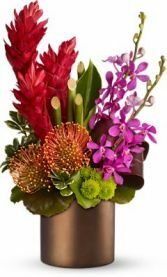 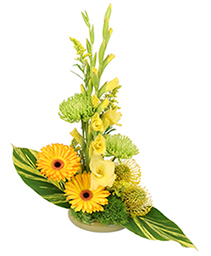 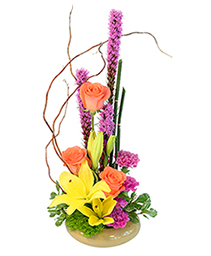 A vibrant arrangement of birds of paradise, pin cushion protea, and succulents with Japonica leaves and other tropical foliage. 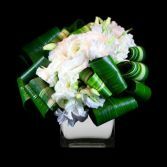 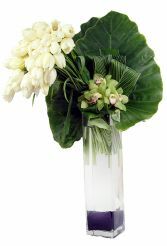 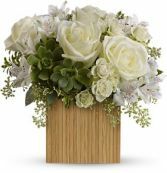 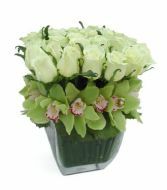 Pure white roses in a modern grid rise above a collar of Midori green cymbidium orchids. 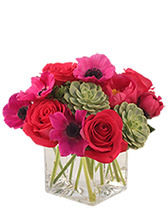 Magenta Anemones harmonize with exotic lotus pods in an accordian leaf wrapped long and low vessel. 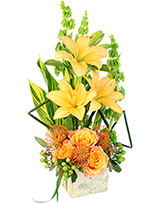 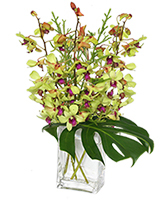 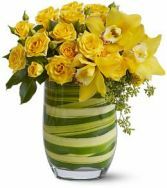 Beautiful movement of tulips artfully arranged with folded leaves and cymbidium orchids. 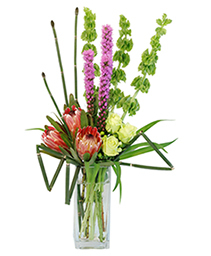 Tall and showy. An exotic and beautiful way to celebrate the fall season. 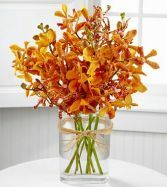 Thai mokara orchids in beautiful shades of orange in a modern cubed vase.